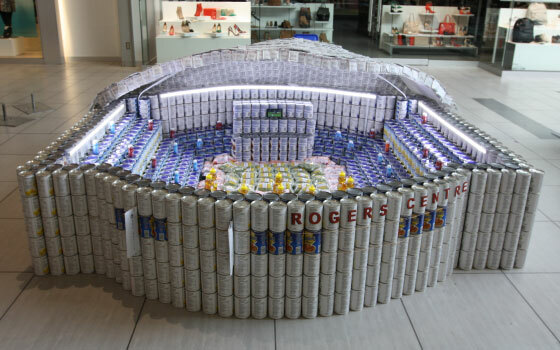 We recently competed in the CANstruction competition for the Food Bank of Waterloo Region. 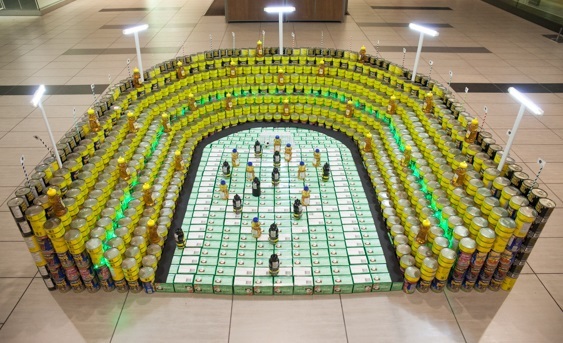 Canstruction is a food and awareness raising event. Teams build impressive structures from thousands of canned food items which are then shared with the community. Our Structure: Waterloo Minor Soccer Club gives the chance for all members of the community to participate and be active together. Just as the community has come together to give the opportunity for so many of our youth to participate in the game of soccer, the players can now team up and give back to eliminate hunger, one can at a time. We won Best Meal for our structure.